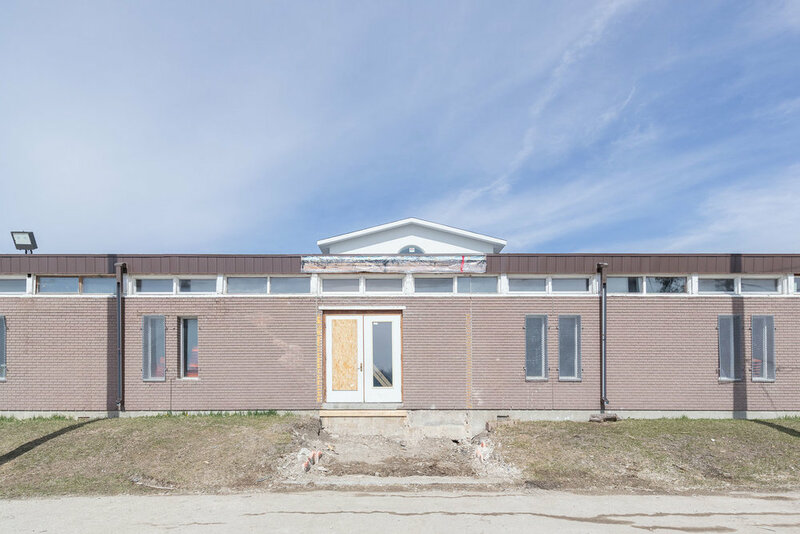 Constructed on an expansive riverfront lot in Northeast Saint Boniface, Saint Philip Minh Church was originally built as a private school by Libling Michener and Associates (LM) in 1959, and then expanded upon by EJ Gaboury and Associates in 1961. The modern, open courtyard building has been in use by the Vietnamese Roman Catholic Church since 2005. 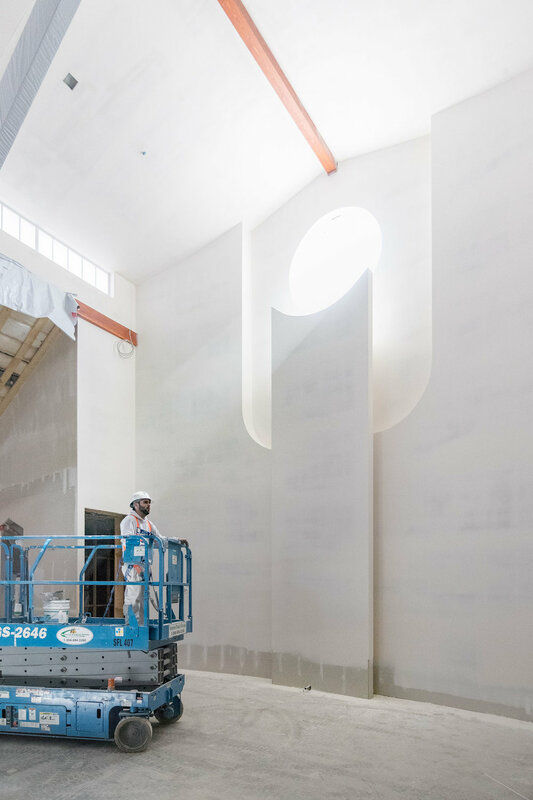 Due to an increase in congregation size, the need for a larger worship space was identified, and the request to enclose the exterior courtyard space was brought forward. MMP was approached initially to conduct a feasibility study to determine whether a conversion of the 7800 sf courtyard space into a 500 person worship space would be possible. Through this study it was determined that the existing building would require a significant upgrade as the proposed new sanctuary space was considered to be a major alteration to the existing structure. 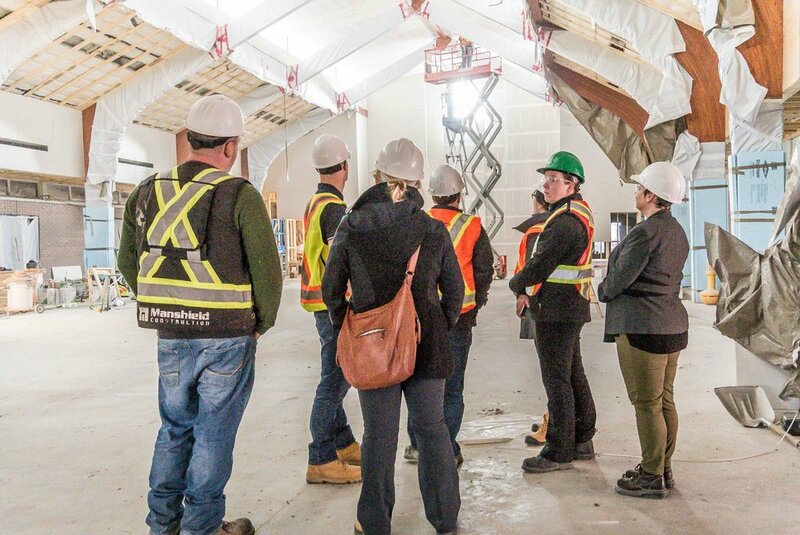 Reviews of the building through architectural and engineering lenses were conducted, and a phased plan of approach as well as a Class D budget was provided to the Church. Upon completion of the feasibility study, an RFP process was conducted by the Church and the project was ultimately awarded to our firm. 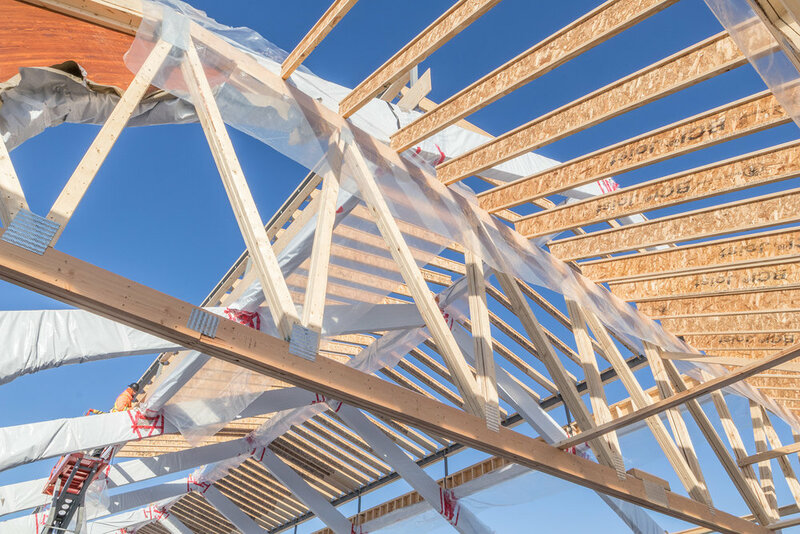 The roof support structure: Originally was proposed as timber frame but then altered to glulam to match the existing exposed glulam beams running through the space and to maintain a visual gridline. 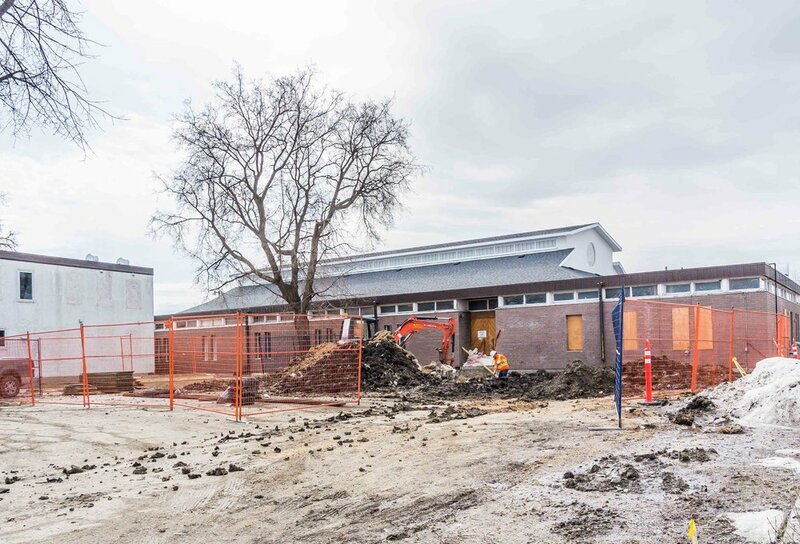 Walls: The existing exterior brick that once enveloped the courtyard is to be restored to become the interior finish of the new worship space. 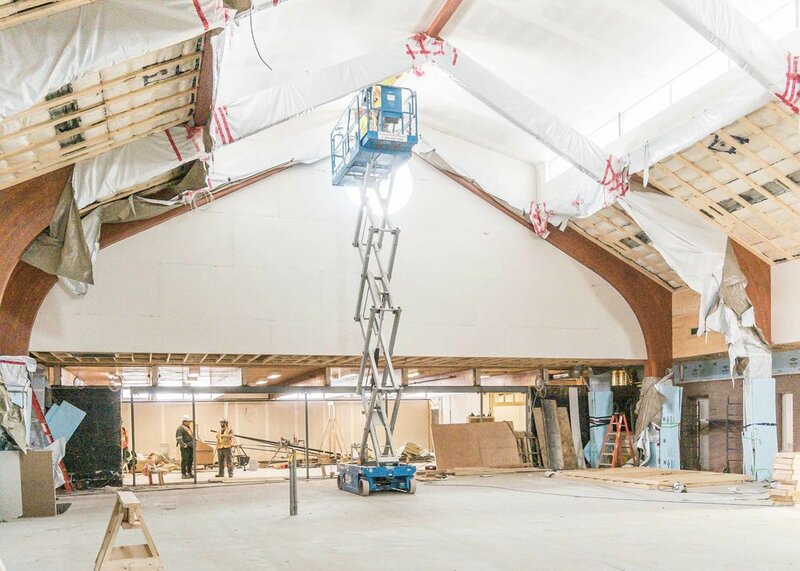 Construction of the first of three phases is currently underway on site, and the congregation is planning to conduct their first services in their new worship space in summer of 2017. Fundraising is ongoing for the current phase as well as the additional two phases that will occur in the coming years. For more information on the church, or to donate to the project please visit the Saint Philip Minh, Giáo Xứ Thánh Philipphê Minh website here. 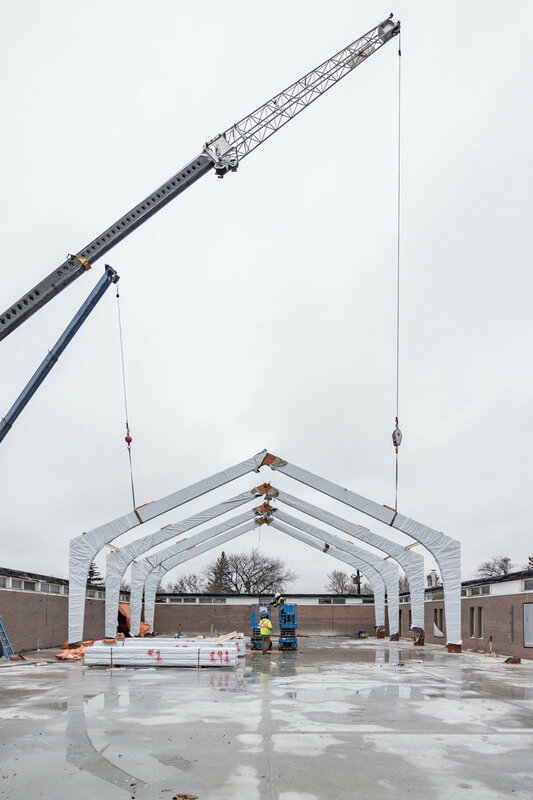 Please see the gallery above for a few snapshots of design iterations, and the final design and phased approach to the church addition and renovation. Also, please stay tuned for project updates that will occur in the coming months.